Breitbart News To Sue "Major Media Company" For Reporting That They Are A White Nationalist Website - Joe.My.God. Breitbart News is preparing a lawsuit against a “major media company” over claims that it is a white nationalist website, it said in an exclusive statement to The Hill. The website has been under intense scrutiny since President-Elect Trump named Steve Bannon as a senior White House counselor and strategist. 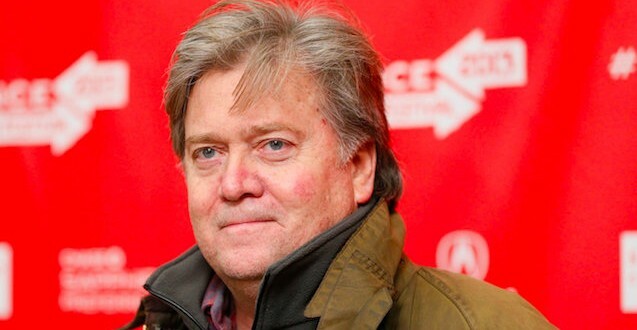 Bannon is the former executive chairman of Breitbart News, and the site has become associated with the “alt-right” movement that helped propel Trump’s candidacy. “Breitbart News Network, a pro-America, conservative website, is preparing a multi-million dollar lawsuit against a major media company for its baseless and defamatory claim that Breitbart News is a ‘white nationalist website,’ ” the statement reads. “Breitbart News cannot allow such vicious racial lies to go unchallenged, especially by cynical, politically-motivated competitors seeking to diminish its 42 million monthly readers and its number one in the world political Facebook page. Breitbart News rejects racism in all its varied and ugly forms. Always has, always will,” the statement continues. “The diversity of the company’s news coverage and its staff continue to embody Andrew Breitbart’s colorblind, distinctly American commitment to ‘E pluribus unum’—out of many, one.” Breitbart News — which generated 240 million page views and attracted 37 million unique visitors in the month of October leading up to Election Day — would not comment on which major media company the publication plans to sue, nor when the suit will be filed.